I recently went on a cruise a couple of weeks ago, and I'm finally getting around to a blog post about it! I vlogged a lot of the trip, so you can watch it if you want! And I posted an outfit video, as well as a packing tips video in my previous post! I really enjoyed this trip, mostly because I was able to spend more time with family, and I also had a break from social media. It's crazy how much we rely on technology nowadays! Anyways, the ocean view was absolutely stunning. I enjoyed seeing the different cities too. Everyone I encountered was very kind as well, and I was able to learn a lot about the culture. There are so many funny things that happened on this trip! I put a lot of them in my vlogs, so maybe you guys can laugh too haha! Anyways, hope you guys enjoy a look at my trip and have a fabulous day! Summer Cruise Outfits + What to Pack!! It is an amazing thing to be completely surrounded by ocean. No land in sight. All of this by choice of course!!! I recently went on a cruise to Mexico with my family, and it was such an incredible vacation. It was so refreshing to get off our phones and computers because there was no service out there! I did take pictures and videos, but it was nice not checking social media and messages for a bit! I decided to take advantage of this opportunity to create some videos that might help you if you are going on a cruise or beach vacation. I filmed a video on what I packed and included some packing tips! And I also filmed a cruise outfit video on how I styled what I packed! I hope you find these helpful for your next vacation or trip and have a fabulous day! P.S. I'll be putting up a vlog of the cruise soon so you can see all the fun things I got to see and experience!! California is one of the best places I've visited so far! The weather was perfect, the mountains were gorgeous, and the beaches were beautiful. I, no joke, teared up a bit as I was leaving. The main reason for going to California was for VidCon, but before I left, I was also able to visit the Hollywood sign, the Hollywood Walk of Fame, the Chinese Theatre, and Venice Beach! And of course, I had to film my outfits in these iconic locations... so I made a summer lookbook for you guys! I really hope you enjoy it, I love how the footage turned out. But of course, the scenery doesn't even show up half as good as it looks in real life! Anyways, have a super fabulous day! 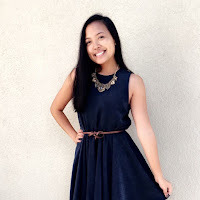 For more outfit posts, click here! 1.) 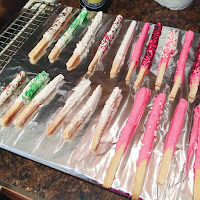 JUNE 1: My little sister and I tried to make our own pocky from scratch! It ended up being really good, even though it doesn't look exactly like pocky! 2.) JUNE 16: I had my first job interview and I ended up getting the job! I was so proud of myself for figuring out how to put a resume and cover letter together haha! 3.) 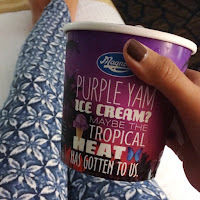 JUNE 18: I tried this "purple yam" flavored ice cream, and it was DELICIOUS! 4.) 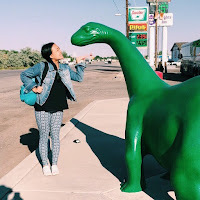 JUNE 21: I took a picture with this green dinosaur statue in Utah on my road trip to California! 5.) 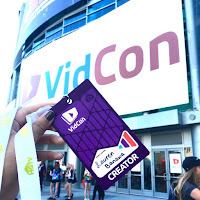 JUNE 22-25: VIDCON WAS AMAZING!!! I loved it. Go watch my vlogs if you haven't already! 6.) 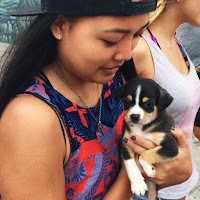 JUNE 26: I saw the cutest puppy (after Finn of course) at Venice Beach, CA! He was super tiny! 7.) 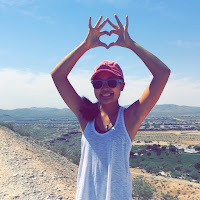 JUNE 27: I hiked up a mountain in Nevada for the first time! It was burning hot outside, and it was not easy to walk up there, but I'm proud of myself for making it all the way up to the top! 8.) 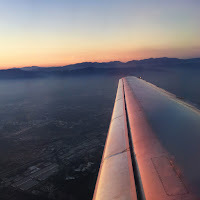 JUNE 30: I flew in a plane for the first time by myself! Not as scary as I thought it would be! Yay! It's crazy how many things I got to experience this month! I didn't even realize it until I wrote this blog post. Not all of them are included in this post, but these were a few of the best. It's always important to reflect on what you've learned and what you've gone through. Be thankful for everything. Don't let the things that you don't want distract you from the amazing things that surround you every second of the day. This is my second post in the "Moments of the Month" series on my blog, and I'm really starting to like it! I don't always remember all the amazing things in my life, so this is a step towards always being grateful and positive! Hope you guys have lots of amazing moments this month, and have a fabulous day!